Vicki Wilmarth was quoted extensively about the new Department of Labor overtime rule in today’s lead story in the Amarillo Globe-News. Vicki Wilmarth, an employment law lawyer in Amarillo, said that employers now have two options: Pay the employee the minimum salary of $47,476 or start paying that employee by the hour. Click here to read the rest of the Globe-News story. Do you pay any employee on a salary basis instead of paying them hourly and overtime? Of course you do, so you need to be very aware of the new final overtime rule issued by the U.S. Department of Labor on May 17, 2016. You must pay your salaried employees at least $913 per week ($47,476 per year) beginning December 1, 2016, or you will be in violation of the Fair Labor Standards Act (which you do not want to violate). In the past, salaried employees had to be paid $455 per week ($23,660 per year) to qualify as an employee exempt from the FLSA’s requirement of paying overtime for every hour over 40 worked in any one workweek. That salary basis has doubled under the new regulations. In addition to meeting this increased salary level, the salaried employee must perform the duties of an exempt employee (the white collar exemptions: executive, a professional or an administrator). These duties tests are much more difficult to meet than most people think, so don’t just assume that your salaried employees are actually exempt. For example, not every “manager” is an “executive exempt employee”, who under the FLSA must have the power to hire and fire and must supervise at least 2 full-time employees, as well as being in charge of a recognizable store, division or branch of your business. This increase in the threshold salary required to consider an employee exempt could change the classification of many Panhandle-area retail managers and assistant managers, human resources directors, marketing professionals, bookkeeping employees, project managers, foremen, performers, and other employees who have not been earning overtime in the past. Most human resources professionals and managers think that working for a corporation gives them some protection from being sued themselves by former employees, but a federal appeals court recently held that an HR director can be individually liable for violations of the Family and Medical Leave Act (“FMLA”). The federal Second Circuit Court of Appeals made this decision in Graziadio v. Culinary Institute of America, No. 15-888-CV (2d Cir., Mar. 17, 2016). The Second Circuit decided that the HR director who instigated the firing of an employee who was out on leave to care for her ailing sons could be sued in addition to the company who formerly employed the plaintiff. The FMLA provides that for purposes of being a defendant in a lawsuit, an “employer” includes “any person” who “acts, directly or indirectly in the interest of an employer” toward an employee. Therefore, a manager, supervisor, vice-president, HR director, leave administrator and other decision-making employees could be sued along with their company if the FMLA isn’t administered correctly. The courts look at the “economic realities” of the situation, including whether the HR director had the power to hire and fire employees; supervise and control employee work schedules or conditions of employment; determine the rate and method of payment; and maintain employment records. Although a vice-president actually made the final firing decision in the Graziadio case, the evidence suggested that the HR director played an important role and the vice-president essentially just rubber-stamped the HR director’s recommendation of terminating the employee who was on leave. These kinds of decisions are frightening to management employees who have to make hiring and firing decisions and those who have to administer the complex FMLA. However, this ruling should not come as a complete surprise to those of us who live and work in Texas, because the Fifth Circuit, which rules on federal cases in Texas, Louisiana and Mississippi, made a similar ruling ten years ago. In addition, our Fifth Circuit court approaches the Fair Labor Standards Act (wage and hour) cases in the same manner. If the economic realities demonstrate that a supervisor was responsible for the misclassification of an employee as an independent contractor (meaning that the proper taxes weren’t paid, among other violations of employment laws) or the underpayment of minimum wages or overtime, then that supervisor may face a personal lawsuit by a former employee, along with the company being sued. The quiet week between Christmas and New Year’s is the perfect time for you as an employer to consider some resolutions for 2016. What can you do differently in 2016 to be a better employer and to avoid stepping on any legal landmines? Resolve that you will make a decision about whether your employees and/or customers can openly carry handguns on your business premises. The open carry law goes into effect on January 1 and allows those who are licensed to carry concealed handguns to start carrying them openly in shoulder or hip holsters. You have the right as an employer to prohibit guns completely on your premises by both customers and employees, to just prohibit employees from carrying guns, to prohibit open carry but allow concealed carry, or to allow everyone to freely carry handguns on your premises. If you choose to ban either open or concealed carry by customers, you will have to post the §30.06 (concealed carry) and/or §30.07 (open carry) signs with the proper wording and font size required by the Texas Penal Code. To just prohibit employees from coming to work armed, you only need to add a policy to your employee policy manual. For more information about Texas gun laws in the workplace, click here. Resolve that you will get ready for big changes in the overtime laws. If you have an employee to whom you pay an annual salary of less than $50,440, in mid-2016 you are going to have to move that employee’s compensation to an hourly rate and pay that employee overtime if he/she works more than 40 hours in any one workweek. Click here for more information about that change to the Fair Labor Standards Act regulations. Resolve that you will stop using any kind of “contract labor”. The landscape has just gotten too rocky to use any worker whom you do not treat as an employee. Just give up on the idea that you can save the taxes or avoid the pains of having employees. The government is really cracking down on misclassification of workers as contract labor, day workers or independent contractors. That means that in 2016, you need to pay taxes on every worker, you need to provide every full-time worker with benefits, and you need to accept that you will have liability if that worker hurts or mistreats someone. Click here for more information about the dangers of misclassifying a worker as contract labor. If you think you are the exception to this rule, don’t proceed without a knowledgeable attorney’s legal opinion. Resolve that you will update your employment policy manual. The requirements for written policies changed dramatically in 2015 due to the changes required by the Equal Employment Opportunity Commission, the National Labor Relations Board and the Department of Labor. Your policy manual is out of date unless your employment attorney has made significant revisions in the last six months. Click here for more information about some of the changes that are now required. Resolve that you will learn and apply the new rules regarding pregnant employees. Take your maternity policy out of your handbook (because it will be considered discriminatory) and add instead a policy that allows pregnancy and maternity leave that is identical to what you allow when someone has a disability or serious illness. That means that you can’t set a standard 6-week maternity leave, but may have to be more flexible with each pregnant worker’s individual needs like the Americans with Disabilities Act requires with handicapped employees. Click here for more information about how to update your procedures regarding pregnant employees to comply with the new regulations. Employers are generous but sometimes uninformed in December, handing out holiday gifts and bonuses without realizing the legal consequences. As an employer, you have to consider the tax and compensation consequences of your gifts. Bah Humbug! The Fair Labor Standards Act divides bonuses into two categories: discretionary and non-discretionary. Discretionary bonuses must be decided in the employer’s sole discretion. They cannot be earned by any formula or used as a motivator or incentive. If they are truly discretionary (which is up to the employer to prove), cash bonuses do not have to be rolled into an hourly employee’s regular rate of pay on which overtime is calculated. Holiday bonuses may be discretionary if they just fall like manna from heaven onto the employee without the employee knowingly working towards the bonus. Generally, the amounts, timing and basis for the discretionary bonus should not be announced in advance to avoid the appearance of being an incentive. There are companies that want to sell you expensive workplace posters that you don’t need to purchase because they are available for free online. Many employers are afraid that they don’t know which employment notices must be visible in the workplace, so they fall for the marketing pitch to pay for these expensive commercial posters. As a Texas employer, have you received advertising in the mail similar to the notice pictured here? Such notices appear official, and can feel almost threatening, with warnings of penalties and fines associated with an employer failing to post current state and federal employment posters in the workplace. It is not necessary for a Texas employer to pay $84 for the poster offered here. While it is true that posting certain notices and information is legally required, employers need not pay any company for this information. Free copies of the required posters can be found from the websites of each of the federal or Texas agencies that require them. The Texas Workforce Commission has graciously gathered a list of these posters into one place for you here. Not only are you out the money if you buy one of these expensive posters, but these for-profit posters could actually hurt you if they promise rights to your employees that the law does not give them (such as promising Family and Medical Leave rights if the company has less than 50 employees and isn’t required to provide Family and Medical Leave). You don’t want to obligate yourself to things the law doesn’t require you to provide. The poster “invoice” pictured here didn’t ask the size of the employer’s workforce and apparently was not tailored to the laws to which a particular employer was subject. 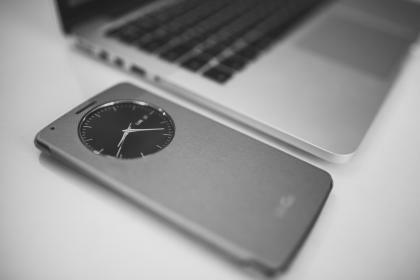 Claiming that your employees are exempt from overtime is about to become much more difficult with release of new regulations this week by the U.S. Department of Labor (“DOL”) under the Fair Labor Standards Act (“FLSA”). On June 29, 2015, President Obama announced that the DOL is issuing proposed rules that will probably go into effect in early 2016. Those proposed rules redefine which employees have to earn overtime on their hourly pay instead of being paid as an exempt salaried employee. The result could be skyrocketing overtime costs and more frequent wage and hour suits against companies that fail to make this transition carefully. In a recently posted database, the federal Department of Labor (“DOL”) has allowed the public to see the companies who have been investigated for various violations of the laws the DOL enforces, including overtime violations, minimum wage violations and independent contractor violations. I quickly scanned the records just for 2014-2015. During that time, more than 35 Amarillo businesses were investigated. Some employed just three or four people. Others employed more than 100. But there are some visible trends in the local DOL investigators’ handiwork. Local preschools were put under the microscope because they often pay their teachers on salary rather than hourly, resulting in frequent Fair Labor Standards Act violations. Amarillo and Canyon hotels are a favorite target, often because they pay housekeeping personnel by the room, rather than by the hour. Amarillo restaurants were repeated targets because of common violations of the tip wage credit, which allows restaurants to include tips in the calculation of whether their employees are making minimum wage or because the restaurant paid employees on salary. Local construction companies, heating and air companies and plumbers showed up on the investigation list probably because their blue-collar workers were not paid overtime correctly, weren’t paid for their travel time, or were put on salary as supervisors when they regularly performed labor that should have been paid hourly. Other industries that were affected by the DOL’s local efforts in the last year included home healthcare, landscaping, retail, trucking, medical, automobile service and online companies. In the last three or four years, there have been several cases filed against employers by nonexempt (hourly) employees who claimed they worked more hours than they were paid for because they checked their work email accounts at home in the evening or they remotely accessed their work files and sent a document to a client or answered a supervisor’s questions after hours. Technology has made this type of work easy and acceptable, but it also has made us as employers sloppy about our pay practices. Applying the Fair Labor Standards Act, which regulates overtime and minimum wages, has never been easy, but when an employee showed up at the office, punched a time clock at the beginning of the work day and again at the end, paying that employee correctly was simpler. Nowadays, smartphones, flash drives, remote log-ins, texts, etc., have added a new layer of compliance issues to the FLSA. And attorneys who represent employees in wage and hour lawsuits are taking advantage of the complexity by bringing collective (class) actions against employers for failing to capture and compensate for the time employees spend using all of that technology outside of the office. These cases are very expensive because they court will always award the employee(s) two times their damages plus attorneys’ fees that often greatly exceed the damages. Don’t stick your head in the sand on this issue and just hope you never get sued. At a minimum, you need a policy in writing addressing these issues. Tell your nonexempt employees that you never want them working “off the clock” and that you will pay them for any after hours work they perform. Let your employees know whether this kind of out of the office work is acceptable, or if not, be prepared to discipline your employees for performing it (but still pay them for it).